the inimitable bizarre feeling like levitating brought by the suppressed and controlled orchestration that never heard. It reminds us the solitude in beautiful infinite space as seen as spacewalk in the movie "2001: A Space Odyssey". 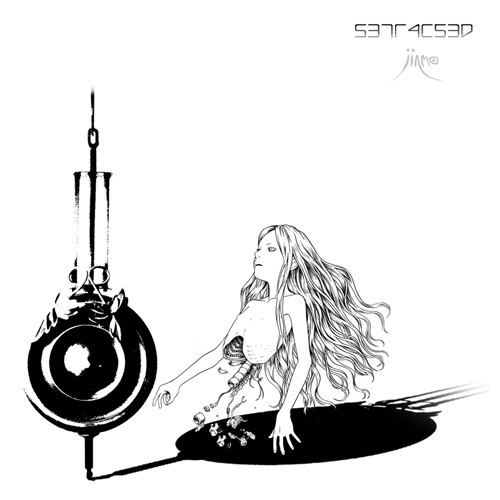 This is the very first music of JINMO in 2010.
liberate yourself to outer space far far away. Beautiful cover art "genealogy of Descartes" by Utsuro Iiguchi known as an artist who designed cover art on previous album.